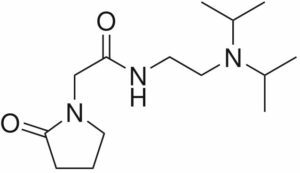 Pramiracetam (N-[2-[di(propan-2-yl) amino] ethyl]-2-(2-oxopyrrolidin-1-yl) acetamide, CI-879, Pramistar, Neupramir, Remen) is a fat-soluble nootropic in the racetam-class of compounds. Pramiracetam was first synthesized by scientists at Parke-Davis in the late 1970’s. It was first tested with Alzheimer’s patients. Seeing mixed results, the company tried it with major depressive disorder. And licensed Pramiracetam as an orphan drug to Menarini who continued research on using it for dementia. In 1991, the company licensed Pramiracetam to Cambridge Neuroscience Inc. (CNI). [i] The nootropic was then tested for restoring cognitive function after stroke or traumatic brain injury. Researchers found that Pramiracetam was up to 30-times more potent than the original Piracetam. In Europe this nootropic is prescribed for the treatment of dyslexia, ADHD, dementia and other memory problems. Brand names for prescription Pramiracetam include Pramistar, Neupramir and Remen. Pramiracetam has gained a reputation in the nootropics community for optimizing cognition. It’s a favorite with students and executives for boosting cognition, focus, memory, and recall. Neurotransmitters: Pramiracetam has a profound effect on the synthesis of the neurotransmitter acetylcholine (ACh). [iii] ACh is critical for encoding new memories, concentration, cognition and neuroplasticity. Cerebral Blood Flow: Pramiracetam increases nitric oxide (NO) activity in your brain. [iv] NO acts as a vascular dilator which means it relaxes blood vessels allowing for the freer flow of blood. Increased blood flow delivers more oxygen and nutrients to brain cells promoting better learning and memory. How does Pramiracetam work in the Brain? 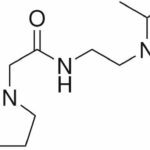 Pramiracetam (N-[2-[di(propan-2-yl) amino] ethyl]-2-(2-oxopyrrolidin-1-yl) acetamide or CI-879) is one of the newer nootropics in the racetam-family. Pramiracetam was developed by Parke-Davis in the late 1970’s from Piracetam by substituting the amide group with a dipropan-2-ylaminoethyl group. Parke-Davis was once America’s largest and oldest drug maker. It has since been acquired by Pfizer as part of their acquisition of Warner-Lambert in 2000. Pramiracetam as a nootropic is legal, and sold in many parts of the world as the prescription drug Pramistar, Neupramir, or Remen. 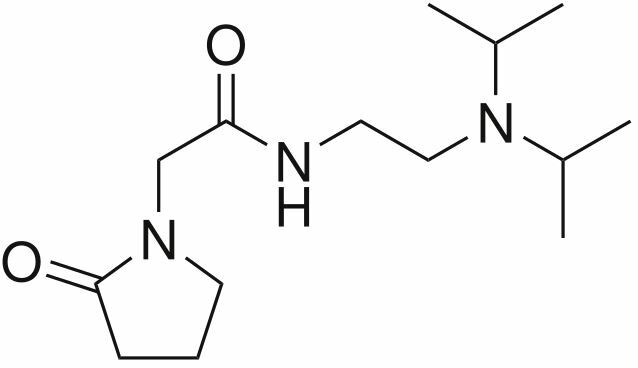 In the United States, Pramiracetam is sold as an OTC ‘research compound’, and readily available to the nootropics community. Pramiracetam shares a unique quality with Coluracetam in the racetam-class of nootropics. Its primary method of action is boosting high affinity choline uptake (HACU) in the hippocampus. It helps increase acetylcholine synthesis and function which helps overall cognition, improved memory and recall, learning, and focus. Pramiracetam has been shown in the lab to not directly influence GABA, dopamine, norepinephrine, or serotonin in the brain. [vi] So don’t look to Pramiracetam to correct mood and anxiety issues. Pramiracetam does increase nitric oxide activity in your brain. Helping to increase cerebral circulation which improves the efficiency of brain cells needed for motor function, learning and visual function. Pramiracetam boosts brain health and function in several ways. But two in particular stand out. Pramiracetam improves memory. Several animal and human studies show that Pramiracetam has a significant impact on memory. In this animal study researchers administered Pramiracetam to rats in a one-trial test. This is significant because it proves that Pramiracetam works right out of the gate. It doesn’t take multiple doses, or a couple of weeks to build up in your system. It works on the first day you use it. As we get older, our brain chemistry and metabolism changes. And it seems these changes are affecting younger and younger people. All of these changes are contributing factors to age-related cognitive decline. Early signs of these effects can be seen in poor decision-making, difficulty learning, and even recalling simple things like an important appointment. But even if you’re not concerned with the signs of aging, Pramiracetam can help. Pramiracetam helps boost acetylcholine (ACh) synthesis and use in your brain, and increases cerebral circulation. As a nootropic, Pramiracetam easily crosses the blood-brain barrier. [xi] And since it is fat-soluble, it must be taken with a healthy fat to ensure absorption. Pramiracetam increases the amount and efficiency of acetylcholine by influencing the high affinity choline uptake (HACU) system in your brain. This increase in ACh can have a profound effect on overall cognition and memory. 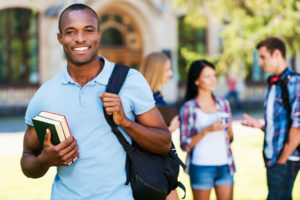 With Pramiracetam, you’ll find it easier to focus and learning ability will improve. This increase in ACh in your hippocampus helps with logic and understanding complex mathematical and technical subjects if that’s your thing. Increased neuroplasticity from more acetylcholine and improved cerebral circulation affects long-term potentiation. [xii] So you may find it easier to recall long-forgotten memories. Many neurohackers report that taking Pramiracetam quickly gets your brain firing on all cylinders. There is an intense increase in focus and possibly even a boost in confidence. But once you get accustomed to this laser-like focus, the novelty wears off and you become used to being able to focus at will. Pramiracetam is reported to be great for intense, long study sessions. Or when you face logical, attention-based tasks where you need sharp focus. Like when you’re doing a presentation before the Board, or a group of VC’s. This nootropic makes burning through tedious, arduous tasks that require a level of sustained focus easier, and that would otherwise seem difficult. 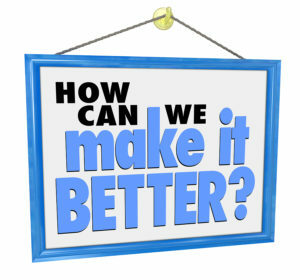 Others report improved recall ability, fluidity of thought, and ease of verbal communication and numerical calculations. Researchers working with old Fisher-344 rats found that the aged rats had a consistently different EEG profile from young rats. They found slow brain waves were present in both the frontal cerebral cortex and hippocampus. Theta brain wave activity was missing altogether but was dominant in the brains of young rats. Theta brain waves are associated with creativity, integrative experiences and relief from trauma. Theta waves are commonly experienced by meditators. An “ah-ha moment” is a burst of Theta waves in your brain. This research team found that Pramiracetam normalized brain wave activity in the old rats. And even more interesting was that its older sibling Piracetam did not produce this effect on brain waves. And that tolerance to Piracetam was a problem. Researchers in Italy investigated Pramiracetam effects on memory, and memory training by a therapist. Types of memory measured were objective memory and metamemory performance. 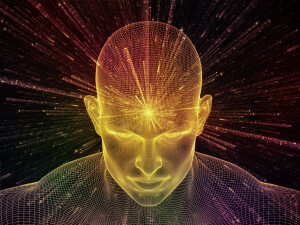 Metamemory is both the inner-knowledge of one’s own memories combined with the processes for formulating new memories with no inner-knowledge. 35 healthy volunteers were chosen with an average age of 64.8 years. 10 subjects received memory training only, 8 received Pramiracetam, 10 received both memory training and Pramiracetam, and the control group received nothing. Results of the study showed that those receiving both memory training and Pramiracetam experienced a significant improvement in memory. Followed by the Pramiracetam group. The memory training-only group and control group scored the lowest. This double-blind placebo-controlled study worked with young males who suffered cognition problems due to brain injuries. The men had problems with memory and recall. One group received 400 mg of Pramiracetam daily for 18 months. And the other group a placebo. Memory was measured during the trial and for 1-month after Pramiracetam was discontinued. Recommended Pramiracetam dosage is 250 – 400 mg up to 3-times per day. One Pramiracetam dose in the morning, and one in the early afternoon, and if you’re doing a 3rd dose do it later in the afternoon. Pramiracetam is fat-soluble so for best results take it with a quality fat like extra virgin, cold-pressed unrefined coconut oil, MCT oil or olive oil. If you don’t take Pramiracetam with supplemental fat, don’t expect much of an improvement in cognition. Pramiracetam is one of two racetams (the other is Coluracetam) that have a profound effect on high affinity choline uptake (HACU). 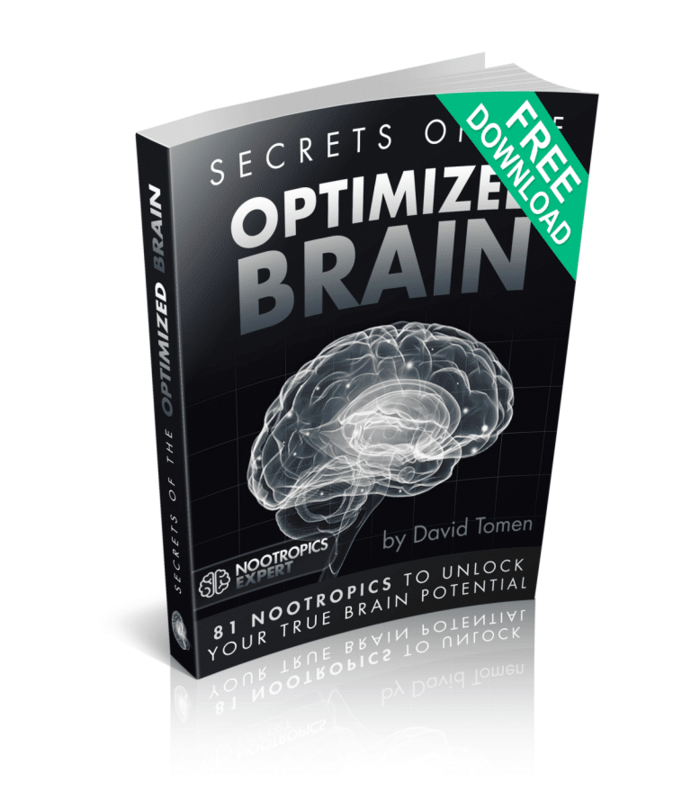 This means it will help your brain make more acetylcholine (ACh) and boost the use of ACh. Acetylcholine is synthesized from the available choline in your brain. Which means for best results you should stack Pramiracetam with supplemental choline. We recommend a good quality choline source like Alpha GPC or CDP-Choline. Pramiracetam tastes particularly nasty. So you may want to get capsules or tablets rather than powder (unless you’re making your own capsules). DO NOT try to take Pramiracetam sublingually because it will literally burn the lining of your mouth. Pramiracetam is non-toxic. So is considered well-tolerated and safe. As with many of the racetams, Pramiracetam can cause headaches because it boosts the use of acetylcholine in your brain. Choline supplements like Alpha GPC or CDP-Choline can help you avoid this side effect. Many neurohackers also find that stacking Pramiracetam with a choline supplement boosts the effect with improved memory and cognition. And this is supported in several research studies. Some users report that Pramiracetam blunts their emotions. Decisions when it comes life and work issues are logic-based rather than emotional. This can be good or bad depending on the situation of course. You could call it “emotional objectivity”. Pramiracetam is sold in tablet, capsule and powder form. Tablets and capsules are usually 250 or 300 mg each. In Europe, Pramiracetam is a prescription drug under brand names Pramistar, Neupramir, or Remen. We recommend using Pramiracetam as a nootropic supplement. Your body does not make Pramiracetam on its own. So to get its benefits you must take it as a supplement. Pramiracetam is especially helpful for those suffering from age-related cognitive decline. Its boosts high affinity choline uptake (HACU) which means more acetylcholine (ACh) is available in your brain. Providing a significant improvement in cognition and memory. Pramiracetam is also particularly useful to students and executives who want to boost cognition, focus, learning and memory. Pramiracetam is fat-soluble so stack it with a good quality fat like coconut oil, olive oil or MCT oil. You should use Pramiracetam with a choline supplement like Alpha GPC or CDP-Choline. It helps boost neural acetylcholine, so demands the presence of more choline in your brain. You can safely boost daily intake of Pramiracetam to 1500 mg if needed. But most find that lower doses are more effective. [v] Sutin, Lawrence (2000). Do What Thou Wilt: a life of Aleister Crowley. Macmillan. p. 253. ISBN 978-0312252434. Nice write-up. I should use your site more often for this type of thing. My experience with pramiracetam was that a 400 mg dose was way too much for me, making me feel like thinking was a chore, and made me more tired and lazy. Smaller doses, such as 50 mg, seem to be more beneficial. So far, with that size dose, I think I find myself recalling pertinent information at the right time, where I would normally overlook it. Ben, thanks for sharing your experience with this racetam. It’s why I always say Your Mileage May Vary (YMMV). And that stands for any supplement because each of us is unique. Are you using an acetylcholine precursor with Pramiracetam like Alpha GPC or CDP-Choline? No. Although I bought it with alpha-gpc, I haven’t taken them together yet. I wanted to see how the pramiracetam affected me on its own. Do you think higher doses will work better with alpha-gpc? Pramiracetam like any of the racetams nearly always work better when stacked with something like Alpha GPC. I find that I don’t get nearly the effect with Aniracetam unless I stack it with Alpha GPC or CDP-Choline. Pramiracetam has a “profound effect on the synthesis of acetylcholine”. Which means you need the precursor to make the ACh that your brain is demanding. If not, the racetam will not work as well. And you could very well get a racetam-headache. Mainly Nootropics I have spent a fortune and not much seems to work, when I say ” work ” I mean I want to feel it , feel stimulated and just “there” Modafinil is the best yet I have no access to it anymore as I had a prescription when I lived abroad. As far as Nootropics I have bought everything I have seen in yur videos but with little to no results, perhaps because I do not know how to stack it. Today for the first time I tried racetams, yes I have watched all your racetam videos but still, it is complicated. Shockingly the amounts in the bottle are so so small. as I got the sample from nootropics depot. But I wanted your videos on all and played around has I bought empty pill caps I put a small amount of each in them some more than others and took fish oil will all of then and ALCAR yet nothing is happening, should I take more? Again I want the stimulation and motivation and fluency they you get from vyvance , progigil etc. At any rate thank you so much for your amazing content. Justin, you should get great results that you can feel with something like Phenylpiracetam. Other racetams can be more subtle but still work really well. It really depends on your unique chemistry and experimenting until you find the right ones. But dosage is absolutely key to experiencing any results with the racetams. For example, most of them affect acetylcholine in some way. Most of us do not have nearly enough choline in our body and brain to start with. So we need to assist the racetam and our brains with a choline supplement. The best acetylcholine precursors when stacking with the racetams are Alpha GPC or CDP-Choline. You are on the right track with healthy oils. But I would use unrefined coconut oil (1 tablespoon) each time you dose a racetam stack. Because the amount of oil in fish oil capsules is not nearly enough to improve the bioavailability you are looking for. I’ve also found that racetams work better with a highly bioavailable B-Complex stack (i.e. Life Extension). B Vitamins are required for neurotransmitter synthesis, brain cell signaling, DNA and RNA maintenance, gene expression and more. And you are correct that some of the racetams require very small doses (like 30 mg). So making sure that racetam has all the support it needs in your stack is key to making it work well. Many supplements I have invested in provided no results like alpha GPC, perhaps because I took it by itself(?) I also read somewhere that you can use ALCAR as a substitute. I did dose a little more of what you suggested and I did feel it just slightly more. Thank you again for your channel and know people are watching and learning a great deal, I love how you really dive into the science of it and explain it so everyone can understand, Fish oil for example which I knew it was important I had n idea about DHA and EPA etc I am surprised you advised against DMAE as I thought it was considered to be a good nootropic. I have watched your video on NALT quite a few times because I am taking a supplement that contains N-Acetyl – tyrosine but it’s a workout supplement ( Lipo 6 Stim free) is it the same as the nootropic? I would love more videos that suggest what you should not take with certain supplements as well, I just went on a “break” from Rhodiola Rosea , Licorice root, and dandelion root pills. lastly, I do not think you have a video that covers types of protein, I go to the gym so I drink a lot of protein shakes of course Protein has BCAA’s including quite a bit of L-tryptophan so why does it not make us sleepy? Also consuming tofu as a protein source, it gets complicated. Future video ideas . Thank you so uch for your work ! Justin, ALCAR is NOT a substitute for Alpha GPC. Please carefully read the review of each to understand why. ALCAR donates a methyl group to help produce acetylcholine. Alpha GPC is a byproduct of phosphatidylcholine (PC). Your brain uses Alpha GPC when it needs more choline (NOT acetylcholine). But it will help contribute the choline needed to make acetylcholine when needed. I realize the neuroscience can be confusing. So just understand that one is not a replacement for the other. I use both for a couple or reasons which I won’t go into here. But each brain is unique and you need to find out what works best for you. If you are using any of the racetams, you need what Alpha GPC or CDP-Choline can provide. ALCAR on it’s own will not be enough. A high quality Omega-3 that is high in DHA is absolutely required for a healthy brain. Quality once again is key. I do not recommend DMAE because it is useless for the most part. 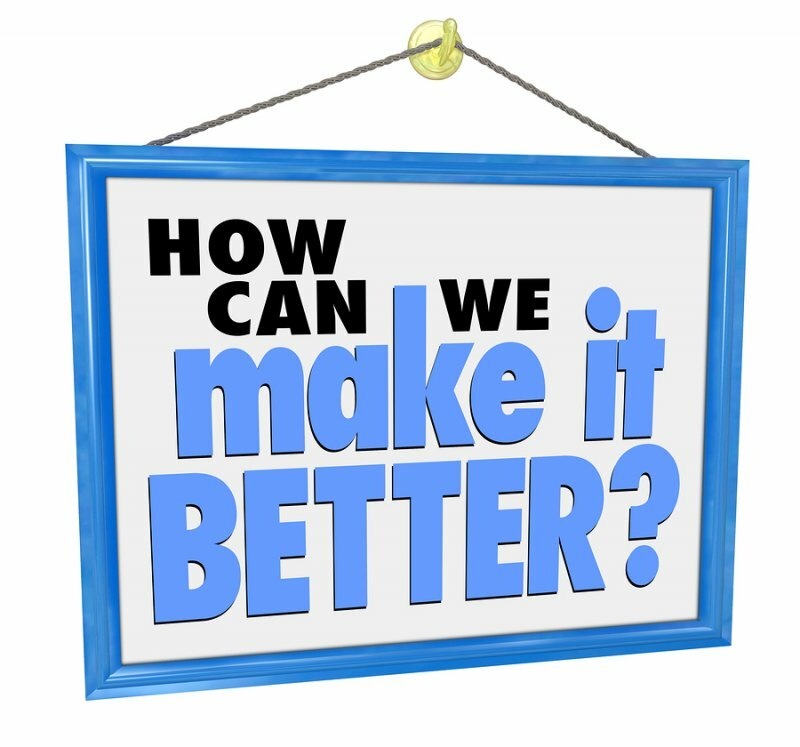 We have far better alternatives for enhancing choline in our system. I use DMAE 5-days per week only because I also use L-Carnosine. DMAE helps reduce the lipofuscin produced with L-Carnosine use. The NALT you have in your workout supplement is considered a nootropic of course. Quite a few sport-related supplements include one or two nootropics as part of their stack. As a male I would never use Licorice root (or anything with licorice in it) because it kills testosterone. Rhodiola and dandelion are great. I plan on doing a review of BCAA’s later this year. This site is devoted to brain optimization so the review will be from that point of view. Thank you very very much, This is very helpful and it does get very confusing! I take licorice root on purpose to decrease my libido. Thanks again for your amazing content. I got a few question I want to ask you. I use to take, Madafinil ( I can feel the affect bodily and mentally 100% no subtel), Armadafinil ( I can feel the affect bodily and mentally 100% no subtel), Nootpet (subtle mental affect), Pramiracetam (subtle mental affect), Oxiracetam (subtle mental affect), Magnesium Threnote (subtle affect), Alpha GPC (subtle bodily affect) and now I will try Phenylpiracetam and Alpha Brain. Which nootropics or medine listed above will show a false positive, or fail drug test? I am really scared to continue taking this drug because of that I have job that does extentive drug test. And why is it when I take Madafinil I feel the effect? I can feel it like wow I am sharply awake, alert, motivation, focuse and the body energy level is so powerful. Why do I only get subtle affect when taking all the nootropics I have listed above? Is it because Madafinil and Armadafinil are in tablets form not capsules ? Please also give me website links I can purchase all nootropics in tablets form, can you do that please? I read your post aswell you said something about taking vitamin B to feel nootropics full benefits affect! Is it true when I take vitamin B and nootropics e.g. the affects will become more powerful as I want? Because I take high dose I still feel mild affect not full power affect of these nootropics. Please get back to me I am dying to read your replies to the questions I have asked you. Modafinil and Armodafinil both act as dopamine reuptake inhibitors which causes more dopamine to be available in your brain. Dopamine gets converted into the other catecholamines including norepinephrine and epinephrine. This mechanism of action increases alertness, motivation and it feels like an energy boost. Most of the racetams affect acetylcholine in your brain. 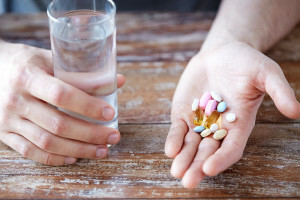 Do a little research on dopamine and acetylcholine and what they do and you’ll understand why prescription stimulants like Modafinil work as they do. The closest in action to stimulants in the racetam-family of nootropics is Phenylpiracetam because it increases the density of receptors including dopamine receptors. How these compounds are delivered (i.e. capsules vs tablets) is important of course. But it’s the mechanism of action in your brain that is what you should focus on. As for drug tests, it all depends on the tests being conducted. I would think most would test for prescription stimulants. And a couple of the major athletic organizations have banned Phenylpiracetam at one time or another. The B-Vitamins are involved in and required for making all the major neurotransmitters in your brain. And some are involved in the cycle that fuels mitochondria. 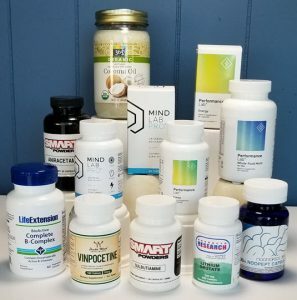 If you are missing or are low in any of these critical B-Vitamins, the nootropics in your stack that affects those neurotransmitters will not work. Because your brain cannot make those neurotransmitters without the B-Vitamins. 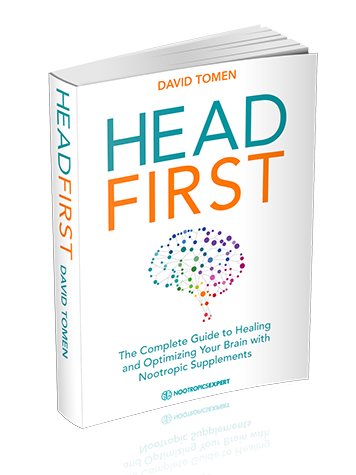 I will be publishing a “buyer’s guide” within the next couple of months with ideas on where to buy these nootropics.